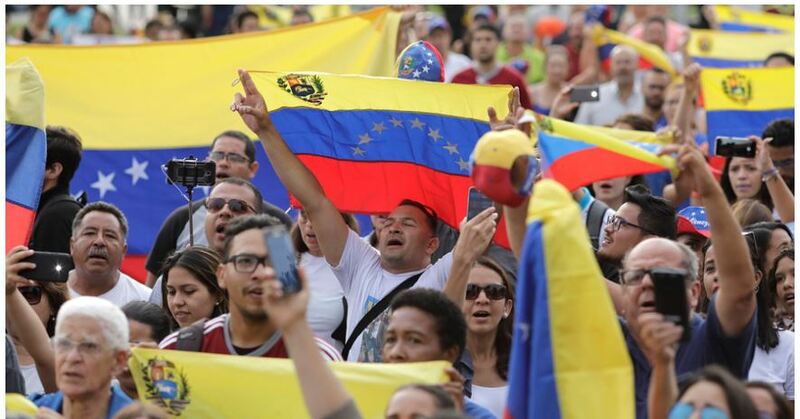 “It’s been made clear that Trump is very serious about enforcement of the sanctions,” said said Tyler Richey, co-editor at Sevens Report Research in Palm Beach Gardens, Florida. “The question is how much will their exports fall versus how much and how quickly can Saudi Arabia and other…Click here to read the full article. “There’s not many people who are willing to short this market. We could be near a market top…” Tyler Richey quoted in Bloomberg. Click here to read the full article. Futures are modestly lower thanks to higher oil and new concerns about the longevity of Chinese economic stimulus. The South China Morning Post released an article saying Chinese officials will again focus on structural economic reforms, which means limited future economic stimulus. 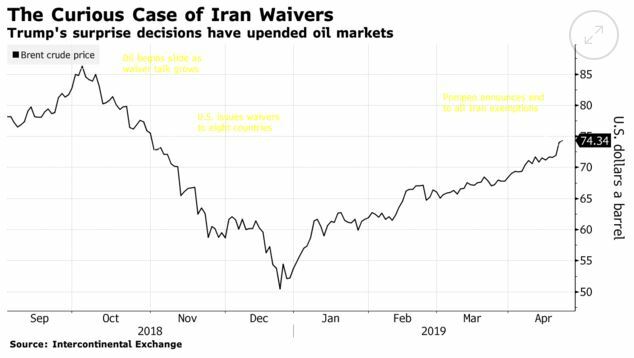 Oil is 2% higher following reports the Trump administration will not renew any Iranian import wavers. Today there is only one economic report, Existing Home Sales (E: 5.30M), and that won’t move markets. So, the key to trading today will be earnings, and here are the reports we’re watching: HAL ($0.23), KMB ($1.54), WHR ($3.04). https://sevensreport.com/wp-content/uploads/2019/04/Wall-Street_300x250.jpg 250 300 Tom Essaye https://sevensreport.com/wp-content/uploads/2019/02/sevens-report-research-logo.png Tom Essaye2019-04-23 09:08:442019-04-23 09:16:07Time to Buy Puts? Futures are slightly lower following a night of mixed economic data. EU flash composite PMIs missed estimates (51.3 vs. (E) 51.8) and that’s a disappointment given recent stabilization in China. 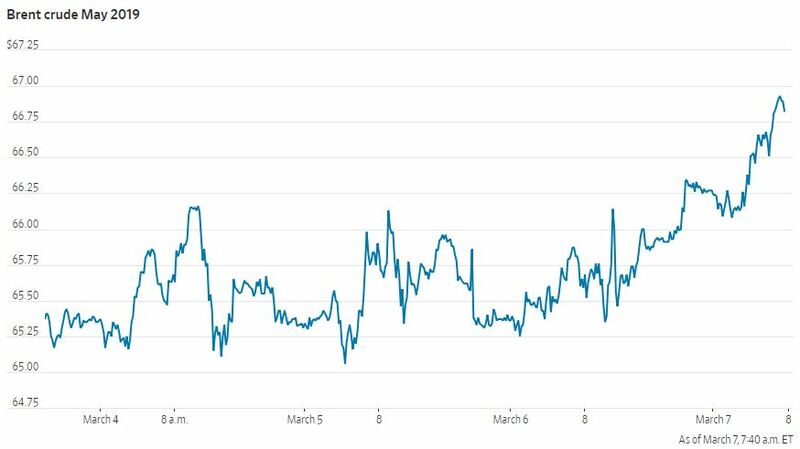 But, not all the data was bad as UK Retail Sales rose 1.1% vs. (E) 0.2%, likely on Britons stocking up goods ahead of the hard Brexit deadline in late March. Today is the eve of a three day weekend but it’s going to be busy as we get a lot of economic data and important earnings. Important data today includes (in order of importance): PMI Composite Flash (E: 54.3), Retail Sales (E: 0.8%), Philly Fed (E: 10.2) and Jobless Claims (E: 206K). As we said in Monday’s report, the stronger the data, the better for stocks as there is no inflation threat right now (so good data won’t make the Fed hawkish). On the earnings front, some releases we’ll be watching include: AXP ($2.00), PM ($1.00), SLB ($0.30) and HON ($1.83). 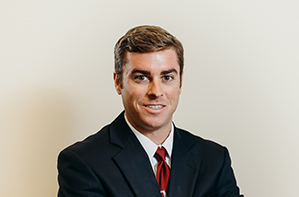 Tyler Richey, co-editor at Sevens Report in Palm Beach Gardens, Fla., said President Trump’s Twitter post last week saying oil prices were “getting too high,” and telling OPEC not to reduce production too much, will continue to work as a bearish counterweight to OPEC. “Trump’s tweet targeting OPEC+ policies from last week is still simmering…” Click here to read the full article. Tyler Richey appeared on TD Ameritrade Network on January 15, 2019.
https://sevensreport.com/wp-content/uploads/2018/12/TD-Ameritrade-Network-logo-250X200.jpg 200 250 Customer Service https://sevensreport.com/wp-content/uploads/2019/02/sevens-report-research-logo.png Customer Service2019-01-15 13:57:112019-01-15 13:57:11Tyler Richey appeared on TD Ameritrade Network on January 15, 2019. Sevens Report’s Tyler Richey quoted in MarketWatch on January 3, 2019. Read the full article here. 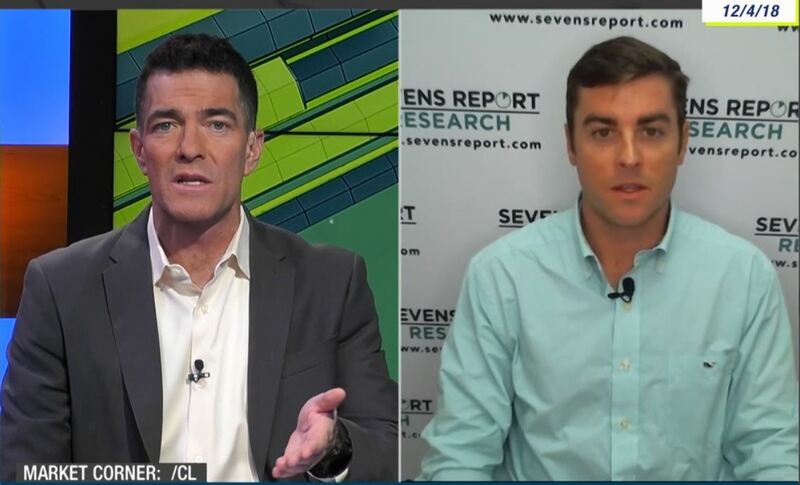 Sevens Report’s Co-Editor Tyler Richey appeared on TD Ameritrade on December 4, 2018. 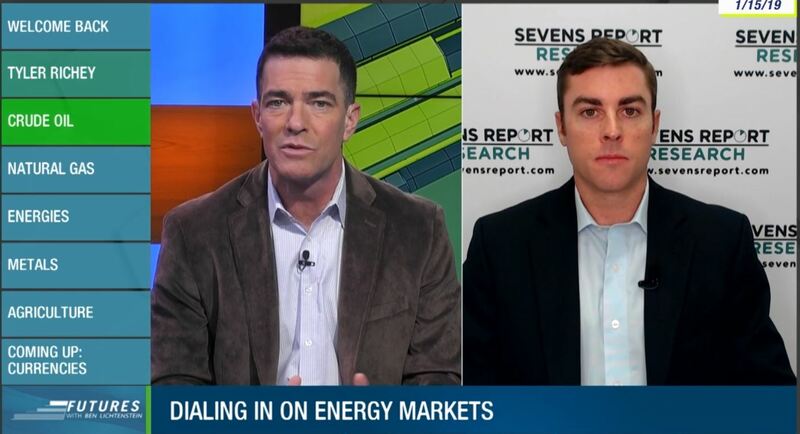 Sevens Report’s Co-Editor & Commodities Analyst Tyler Richey appeared on TD Ameritrade on December 4, 2018. Watch the entire clip here. https://sevensreport.com/wp-content/uploads/2018/12/TD-Ameritrade-Network-logo-250X200.jpg 200 250 Customer Service https://sevensreport.com/wp-content/uploads/2019/02/sevens-report-research-logo.png Customer Service2018-12-04 16:31:052018-12-04 16:31:05Sevens Report’s Co-Editor Tyler Richey appeared on TD Ameritrade on December 4, 2018.